This 9010 S.F. 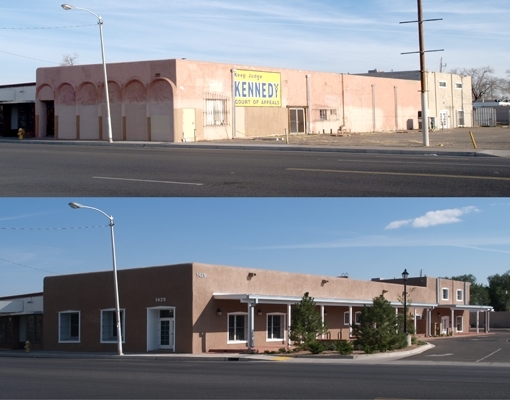 office remodel is located on Central Avenue near 14th street west of downtown Albuquerque, New Mexico. Changes to the building exterior include new windows, new doors, and a new portal located along the east side of the building. Changes to the interior include new Class A office space for the building owner as well as 2200 S.F. of leasable space for a future tenant.